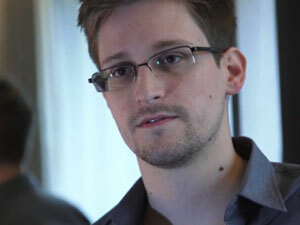 Nếu đang ở gần thành phố Newyork, hãy tham gia BIỂU TÌNH SÁT CÁNH VỚI EDWARD SNOWDEN! Our country is in the midst of a struggle between the growing surveillance state and our precious civil liberties. Now a whistleblower has boldly stepped forward to expose the National Security Agency’s vast spying on our phone records and online communications. We thank Edward Snowden for his principled and courageous actions as a whistleblower, informing the public about vast surveillance by the National Security Agency that undermines our civil liberties. Feel free to add your own message to Edward Snowden. 54561 1 minute ago Paul Bleiweiss Liverpool, NY , US Time to end the Imperial Gov’t invading our lives. Corporations seem to have their “rights” respected more than living breathing human beings made of flesh and blood even. 54557 1 minute ago Jeffrey Zimarik Phelan, CA , US THANK YOU MR. SNOWDEN!!! You ARE a HERO! My hat is off to you! Stay strong! 54550 3 minutes ago Rachael Owens Corpus Christi, TX , US Thank you for everything you’ve done. This is a small step to true freedom. Take a stand in New York City. Previous Previous post: MỸ LÀ TAY TỔ TRỘM CẮP VÀ KHỦNG BỐ "DƯỚI ĐẤT CỦNG NHƯ TRÊN CÕI GIỜI"